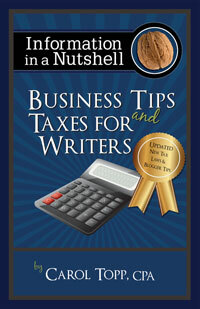 I’ll be interviewed on Monday April 29, 2013 by Judith Briles for her popular podcast Your Guide to Book Publishing. We’re going to talk about the business side of writing and publishing. What business structure works best for a author? Should a writer consider LLC status? How hard is it to launch a publishing company? The podcast will be aired Thursday May 2, 2013 at 6 pm ET. Do writers need insurance on a self-published book? Who says you’re a professional writer?